Exciter is a BP545/25. Dichroic mirror is FT570. Emission (barrier) Filter is a BP605/70. 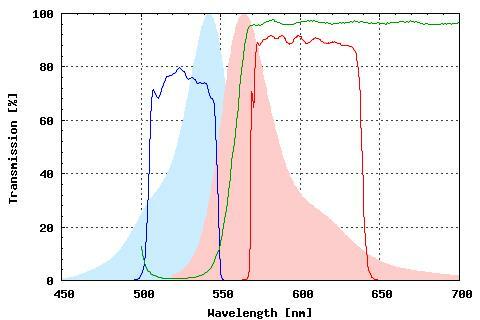 Absorption and emission spectra is for Rhodamine B fluorochrome.